Preventing repair issues is the best way to keep your garage door functioning safely and efficiently. Maintenance inspections can reveal worn parts and solve problems before you're inconvenienced with a broken part. Our inspections also include safety tests that can reveal underlying issues that may not be immediately noticeable, keeping you safe from accidental injury. We take a look at the wear on your springs, cables, pulleys, tracks, rollers, motor, trolley, driver, and panels. Rust is a common issue that needs regular eradication to prevent it from eating away at your metal parts. Rusted springs can't store as much force, and rusty tracks can slow down your door or make a lot of noise. Allowing us to make minor repairs once a year will prevent many issues from cropping up in the future, saving you a lot of frustration. A regular maintenance schedule is recommended for typical residential properties where the garage door is used every day or almost every day. Heavy use will wear out your springs and cables, so having those checked is essential. Motors don't last forever, but with routine care you can get yours repaired before it burns out and leaves you stranded. Finally, maintenance inspections check for rust that may have built up, causing noise, slowing down your door, straining your motor, or damaging your springs. Make sure you're in the clear by scheduling a visit from one of our experienced technicians. Call Overhead Garage Door Minneapolis and let us help you out when it's time for your annual inspection. 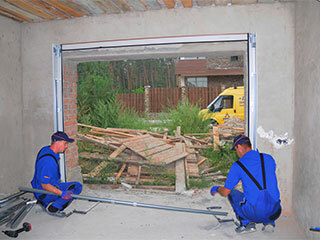 Our technicians are experts in customer satisfaction and we want your garage door to be in optimal condition for as long as possible.